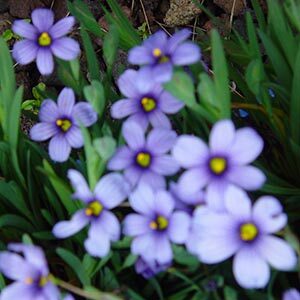 Masses of blue flowers with a yellow eye appear in spring. Best in full sun. Ideal for rockeries, under planting in patio pots or as edging. Prefers well drained soil. Trim dead heads to extend flowering. Evergreen.